Radiculopathy: When a slipped, or a herniated, disk results in a pinched nerve or sciatica. As a result, a shooting sensation occurs down the patient’s leg. Patients often describe the sensation as an electrical feeling. Facet Joint Dysfunction: This is a ache in the lower back, which stays confined above the knee. This ache improves when seated and gets worse towards the end of the day. Sacroiliac Joint Dysfunction: This type of affliction also remains confined above the knee, however, it’s mainly located in the upper buttock and can be worse on one of the sides. 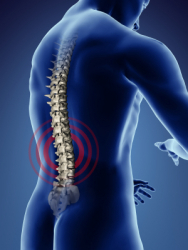 Spinal Stenosis: The symptoms of this medical condition are similar to that of a pinched nerve, however, it occurs when the nerve openings, around nerve roots or the spinal cord, narrow down. Although this can result in aching and severe discomfort in the leg for people of all ages, older people usually suffer from it more. Those who have spinal stenosis can find it difficult to walk. In such cases, the difficulty can usually be reduced by bending forward or sitting down. Patients also suffer from discomfort or heaviness in their legs and back. Tendon, Ligament, and Soft Tissue Dysfunction: This is a malady that occurs when the muscles in a particular area are over used or when that area experiences stretching. This is a localized condition and causes tenderness. Non-Spinal Causes of Low Back Ache: As the name suggests, patients suffer an ache in the back, but it is not due to any back injury. Some of the ailments that can cause this severe discomfort are kidney disease, appendicitis, urinary tract infections, and uterine disorders. Treatment Options: The process of rehabilitation in patients suffering from problems in the lower back contains three phases. The first phase, also known as the acute phase, involves treating swelling, soreness and inflammation. During this process, physiatrists diagnose the problem thoroughly and come up with a plan for treatment. Common treatment options suggested include electrical stimulation, medication, mobilization, ice, ultrasound, and specialized injections too at times. The second phase is known as the recovery phase in which the physiatrists try to get the patient’s body parts in their correct positions and help them develop strength and flexibility. The main focus of this phase is to get the patient back to performing their routine activities, be it sports or leisure-related. This is done with the help of exercises that are specifically designed to rebuild and strengthen the body. The third phase, or the maintenance phase, focuses on preventing further injury and minimizing the recurrence of the one that has just been resolved. This process usually involves increasing the body’s endurance and maintaining body mechanics. This is a general outline of the treatment plan for low back dysfunction, howeer, each individual case requires a specific set of solutions for each of the phases. 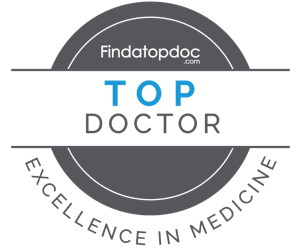 Therefore, Dr. Aull treats every case as a unique one and develops custom plans for each of her patients.